One precinct in Elk Grove experienced some snafus in today's California Primary Election. That precinct in Elk Grove votes at the Cosumnes Fire Station #76 located on 8545 Sheldon Road. Upon entering and signing the ledger, there was a lack of clarity of the poll workers of which ballots I should receive based on my registration. 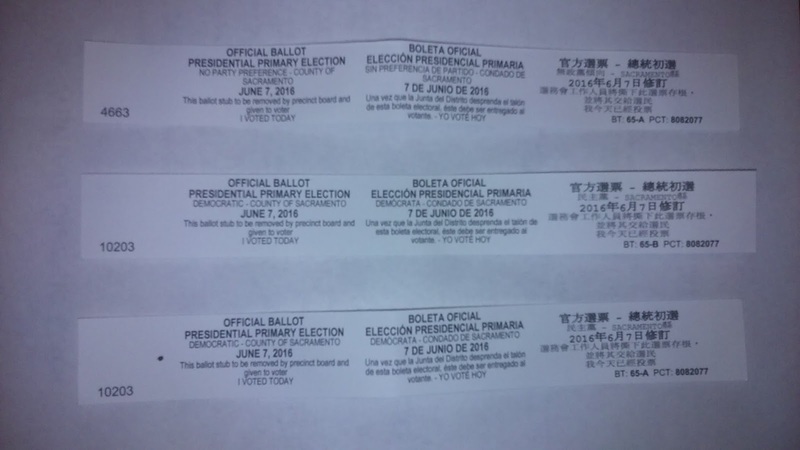 After a few minutes, the workers handed me three ballots placed inside a manila folder. 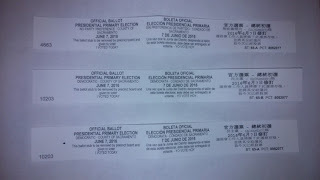 Once in the booth, I made my selections, but noticed a duplicate ballot. The extra ballot would have allowed me to vote twice in the California Senate race. As much as I like to vote early, it is not proper to vote often. I returned to the poll workers table, they examined the ballots. From my perspective I wanted to make sure I was given the proper ballots. After a few minutes, it was determined that I was given an extra NPP Senatorial ballot. The workers took the extra ballot back. Concurrently, while my matter was being sorted out, another voter signed the register and poll workers discovered the Sacramento County Voters Registrar had not send GOP ballots to the precinct. The poll workers apologized to the voter who said he would come back later today to vote. One of the workers assured him that even though he had signed the ledger, they would make sure he was given a ballot. On a side note, my vote was finally cast around 7:25 a.m. and I was voter 9 - not a bad turnout for the first 30 minutes of voting. Let's hope that trend continues throughout the day and the voting snafus in Elk Grove are the rare exception, and not the rule. Mayor Daley would have been proud of these "snafus"!